The Tax Cuts and Jobs Act (the Act) passed in late 2017 has brought a collection of changes to almost every business. Although many tax cuts, such as reducing the corporate tax rate from 35% to a flat rate of 21%, are widely and warmly welcomed, the Act trims down some tax breaks that businesses have depended on for many years, including qualified transportation benefits. Qualified parking is parking provided to employees on or near an employer’s business premises. 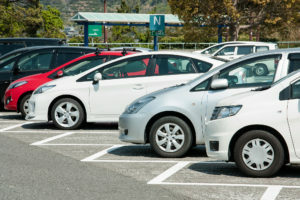 It includes parking on or near the location from which an employee commutes to work using mass transit, commuter highway vehicle, or carpool, but it does not include parking at or near the employee’s home. Beginning January 1, 2018, amounts paid for employees’ qualified transportation benefits are nondeductible for employers, although they are still excludable from employees’ income. Tax-exempt organizations are not shielded from this new rule. Instead of eliminating the deduction, the Act requires these organizations to report as unrelated business income (UBI) any amounts paid for the above benefits, as long as these expenses are not associated with an unrelated business that is regularly carried on by the organization. This income will be subject to a 21% flat tax rate and reported on Form 990-T, Exempt Organization Business Income Tax Return. State taxes might apply, if applicable. The new tax rule has caught non-profit organizations in a quiet and surprising manner. For many organizations, this would be the first time to file Form 990-T with the IRS. For small organizations, it increases administrative costs and tax burdens while their budgets are usually limited. For larger organizations, the tax liabilities could be significant. For example, for 2018, employees can exclude up to $260/month (i.e. $3,120/year) for qualified parking from their income. If an organization provides such benefits to its 100 employees, the organization would have $312,000 of UBI and the tax bill would be $65,520. To make the situation worse, the first and second quarter estimates were already due on April 18, 2018 and June 15, 2018. To cope with the new tax rule and filing obligations, non-profit organizations may choose to forgo the benefits completely or include the costs of the benefits in the employees’ taxable wages. Otherwise, the benefits may be subject to unrelated business income tax. There can also be UBI consequences if the tax-exempt organization pays to lease qualified parking spaces for employees. Just as with many other provisions of the new tax law, there is lack of guidance on how to the rule should be applied or interpreted. There are currently efforts underway by the nonprofit community to seek relief from this requirement. We will update you in the event the IRS issues further guidance or changes. Contact us if you provide qualified transportation benefits to your employees and need help to determine the amount of UBI, calculate estimated tax payments, or file Form 990-T.